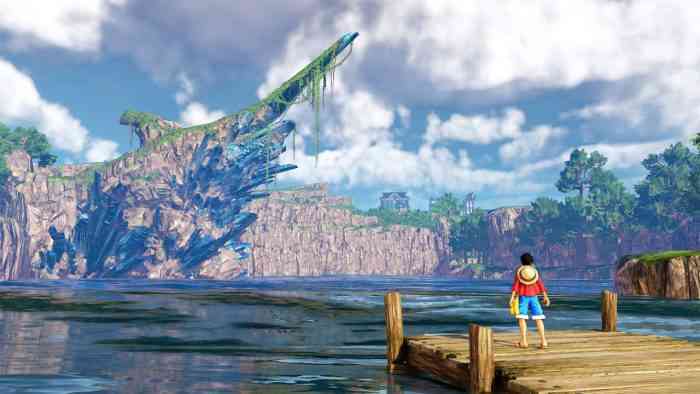 Luffy and the Straw Hat Pirates are going to be gum-gumming their way to PC and consoles early next year in One Piece: World Seeker, and Bandai Namco has dropped a new trailer to mark the occasion. World Seeker will land on PC, PS4 and Xbox One on March 15, 2019, and the new trailer above shows off just about all you’ll need to know about it, and then some. Luffy will be able to use multiple fighting styles including Arm Haki mode, which allows him to use wide area attacks at the cost of movement speed, and Observation Haki allows him to see enemies through walls, similar to Assassin’s Creed’s eagle vision. Bandai Namco also used the opportunity to announce the Gum Gum Bundle and pre-order bonuses, which includes the game for your preferred platform, as “full scale replica” Gum Gum Devil Fruit (how big could it be?! ), and an 8.27″ Luffy figurine. Players will receive the Military and Swim Suit costumes as well as the Strange Island Rocks mission for pre-ordering. One Piece: World Seeker was delayed to 2019 back in September, and not too long after Bandai Namco revealed a new trailer at TGS. Let us know if you’ll be joining the Straw Hat Pirates this March in the comments and keep it locked to COGconnected for all the latest gaming news!